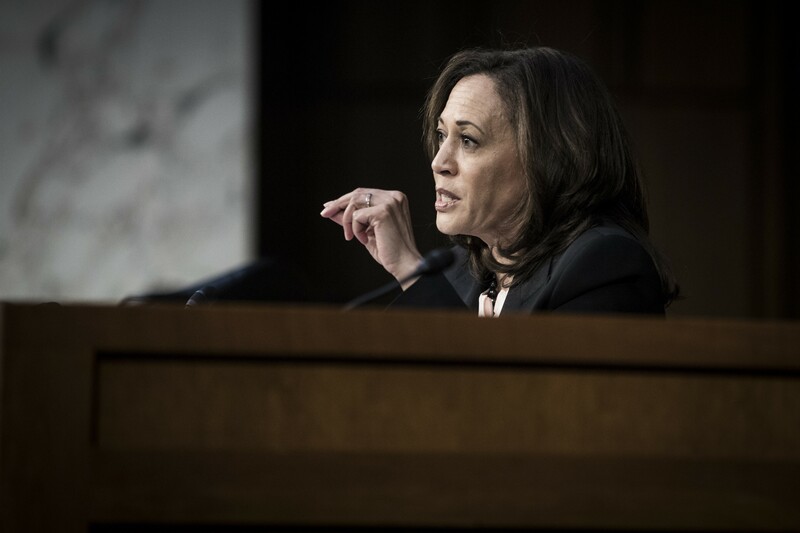 Sen. Kamala Harris (D-Calif.) questions William Barr, President Donald Trump’s nominee for attorney general, during Barr's confirmation hearing before the Senate Judiciary Committee in Washington, Jan. 15, 2019. Harris, a barrier-breaking prosecutor who became the second black woman to serve in the U.S. Senate, declared her candidacy for president on Jan. 21. A 54-year-old former California attorney general and San Francisco district attorney, Harris hails from one of the country’s most famously liberal cities. She has ties to both the pragmatic and leftist wings of the party: she is rooted in the Bay Area’s Democratic establishment but has embraced a more progressive agenda since being elected to the Senate in 2016.